Internationally recognized, Thievery Corporation, will take part in a special performance as part of the W Happenings music series. Thievery Corporation's Eric Hilton and Rob Garza. Image courtesy of Andrzej Liguz/moreimages.net. 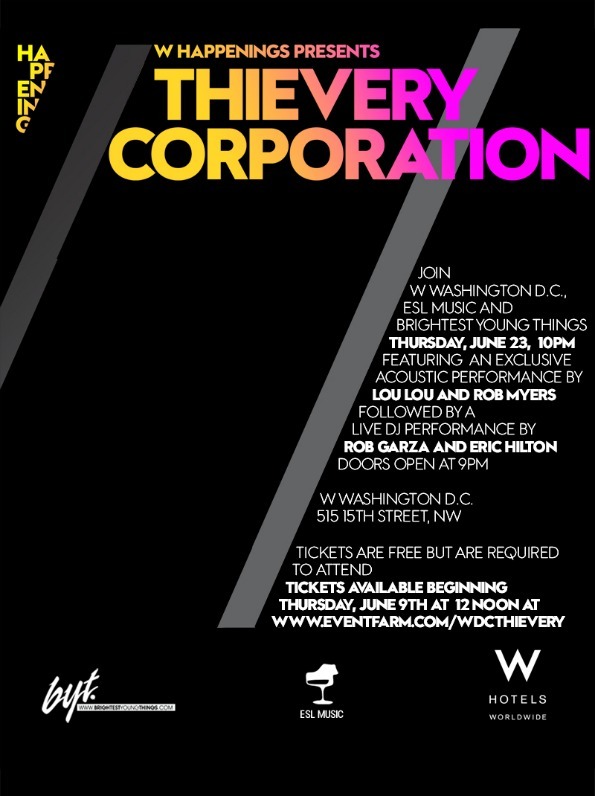 D.C.’s own, Thievery Corporation makes its return to perform at the W Washington D.C. on Thursday, June 23rd. Founders Eric Hilton and Rob Garza will headline as part of the W Happenings music series brought in conjunction with ESL Music and Brightest Young Things. Thievery members Lou Lou and Rob Myers will also perform an acoustic set. While the event is free, tickets are needed to accommodate the large number of fans and will be held in the Great Room ballroom. Purchases can be made online beginning June 9th. The W Washington D.C. Facebook page will also offer daily ticket give-aways with one winner receiving an overnight stay at the hotel. 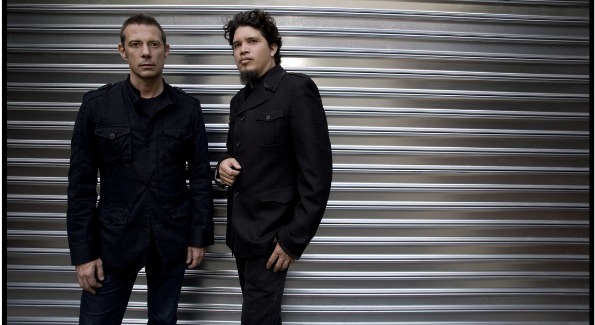 The internationally recognized Thievery Corporation was founded at Washington D.C.’s Eighteenth Street Lounge and credits the area as a strong influence for their blended sound of dub reggae, jazz, Indian, Middle Eastern and Brazilian bossa nova. Both Rob and Eric have been members of Washington Life’s The Young and The Guest, recognizing 250 of the area’s top under-40 achievers.